This entry was posted on Thursday, October 28th, 2010 at 5:07 pm and is filed under 1. You can follow any responses to this entry through the RSS 2.0 feed. Both comments and pings are currently closed. 55 Responses to Is there any point in having a green wedding if nobody notices? I’m no green bride (not even old enough) but I must say that I don’t think it is that important for people to notice, but on the other hand, you might want them to so they know that your wedding was really sustainable and was still great. I believe the most important thing is that you made your wedding footprint so much smaller. Other than that, having people notice is a way that someone like me, can possibly follow in your footsteps. Oh, and have you heard of green burials? Sorry to be depressing since you are talking about a wedding but I recently read about it in my Audubon magazine and they are really sustainable and cheaper too. You can be as green as you want and I like how it’s a natural way to leave the earth (besides the fact that the body will esentially be recycled since matter does not dissapear). I think it’s better that they didn’t notice. 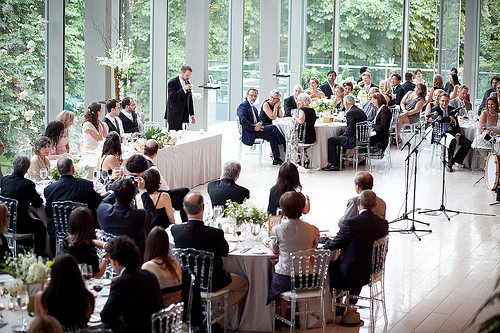 It shows that being green doesn’t mean having a sparse, ugly wedding. 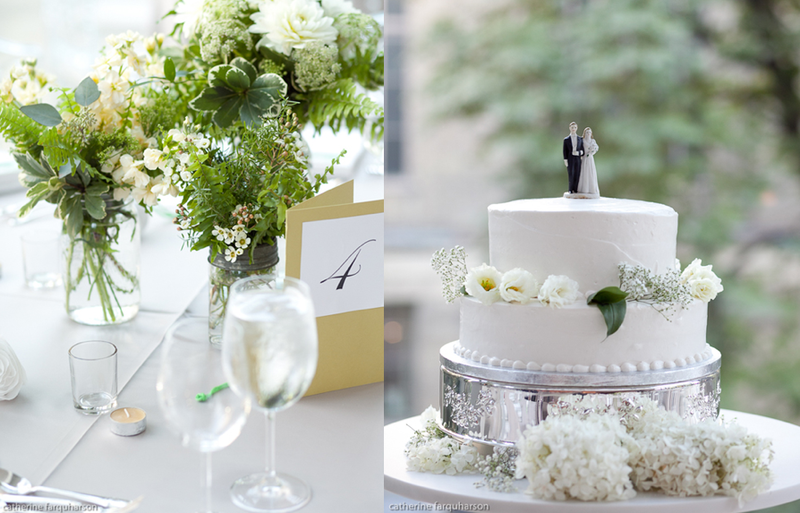 Every wedding can be green without sacrificing tradition. 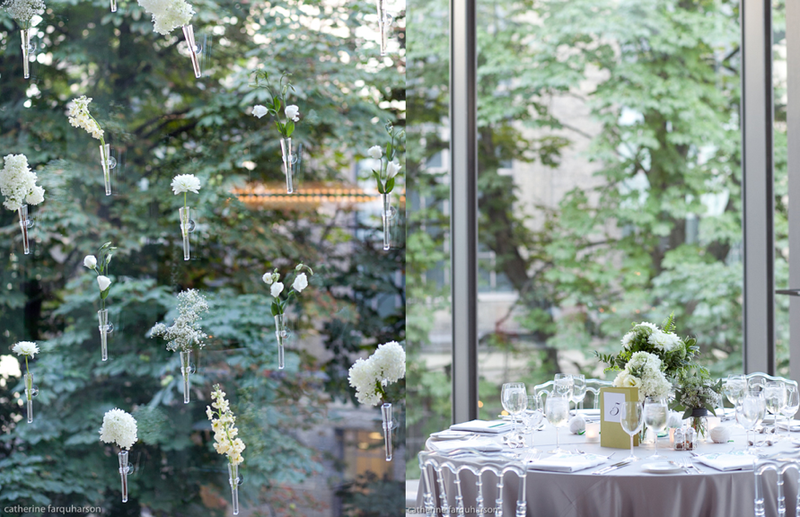 Whether it’s important that your guests noticed or not depends upon why you choose to green your wedding. If you did it to show off that you are greener than those around you (I suspect not but I know some who do) when it was a fail. If you did it because you wanted to personalize your wedding and celebration in a way that is meaningful to you and your husband than it’s a win. Personally I like that a lot of my dark green house and life looks a lot like everyone else’s. It shows by example that not all green is granola and burlap. Why does anyone have to notice? Skeptics will be impressed that they couldn’t tell it was “green”, and it’s way better for the planet. IMHO the only reason to be upset that no one notices is if you’re trying to be flashy with the green. These pitcures are absolutely beautiful.. The wedding was so much fun. I wish I had you as the photographers for our wedding 9 months ago. Anna – Wow!!! The pictures are cpaaivtting. Its amazing how children like these can inspire you just from a picture. My favorite after looking many time is the first one ..I felt like this is what Peter Pan would look like as a little boy. Just how green is the Engagement Ring? Hopefully Ms. Thistle isn’t wearing blood on her hands. I see it is an heirloom — my mistake!! Congratulations to you both. May your lives together be filled with sunshine, joy and laughter. Green doesn’t have to be seen, to be – it just is. For everyone who makes the effort, we heal the world a little bit at a time. Well done. You look so happy, you and your sweetie. I suspect that many of the people at your wedding did notice, but just accepted it as a normal part of your lifestyle and didn’t comment on it. It was a beautiful wedding, no matter how you look at it. And I’m sure it mattered to you and your husband that it was carried off within your principles and with respect for the environment. 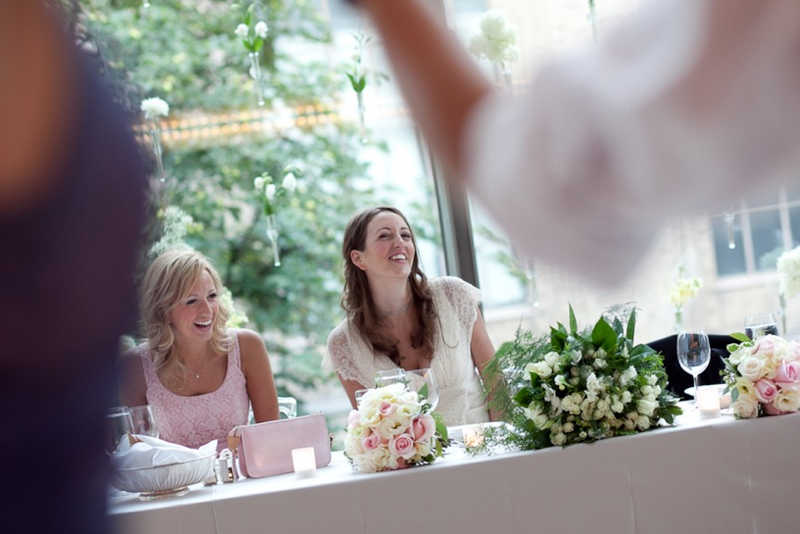 On your wedding day, what you think matters more than anything else or anyone else. It’s when they don’t notice, then they find out later, that conversions happen. They realize that being thoughtful is normal and healthy and possible, that you CAN make ethical choices and give yourself and others pleasure at the same time. Beautiful wedding! Glad to see you stuck to your (eco-friendly) guns! 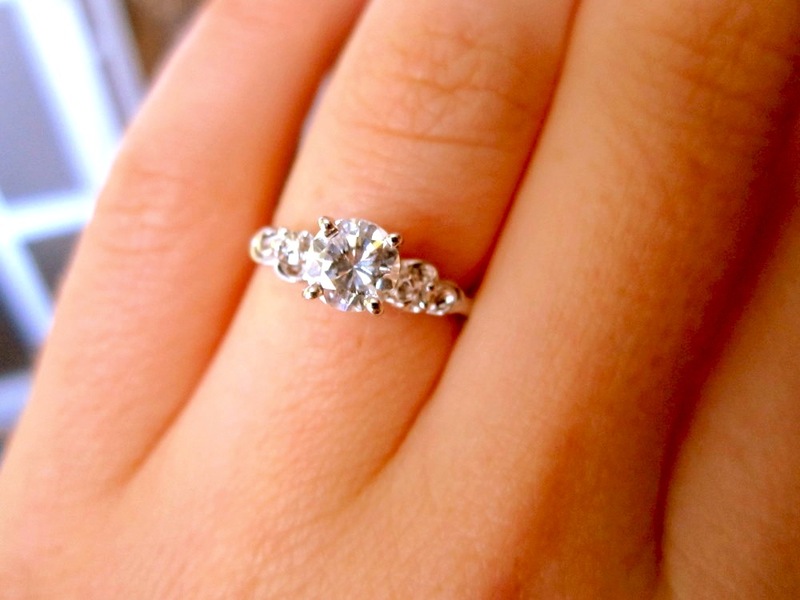 I like the idea of just keeping the engagement ring and not having the go for a second band. Congrats! I want to eco what everyone said about it being a success that people didn’t notice. It shows that green can be elegant. What about the dress? (beautiful, btw) I can’t find a decent green wedding dress anywhere and have thought about just buying a new dress from a department store. Any chance you can be enticed to write a how to guide for a green wedding? I was. And the candles smelled delicious and the cake is my fave cake ever. Congatulations Vanessa…and given the reach of your book and who you are, I find it hard to believe that nobody noticed the green aspect. But that said, maybe that’s good thing. Isn’t that the job of all of us “early adopters”? 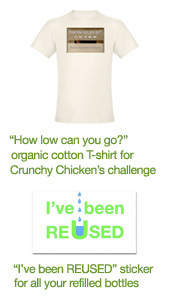 That is to say, getting the word out so that living sustainably *isn’t* this way-out-there thing? Congratulations, Vanessa. I wish you and your hubby a lifetime of joy, love and laughter together. The wedding looked lovely, and you both look so happy. It’s wonderful! I just wanted to reiterate what others have said before me: it doesn’t matter if no one notices, because you know that your wedding fits your principles and choices. If no one noticed that it was green, than it only goes to show that being green is not the big sacrifice everyone else makes it out to be. 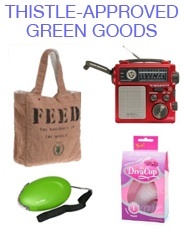 Being green is not about the flash and show, it’s about doing good. Your wedding was green. You and Jacob are happy together. All is well. I just finished reading your book and came to see what’s happening after…. and there! You two are married! Congratulations! You inspired me well. I believe people will notice what’s good for the environment and how we all should act eventually. To make it happen, I will promote your book here in Japan! Of course there’s a point: You do it because it’s the right thing to do! Ask the same question of any other ethical issue and then throw the “if nobody notices?” on the end of it. You can see that it is really a pointless thing to ask. For instance, I don’t steal because I believe it’s not right; I recycle because I believe it is right; I pursue a 100% vegan lifestyle because I believe that it is right. And I do all of these things even when no one is around, and when, in fact, there is no way for anyone to know. 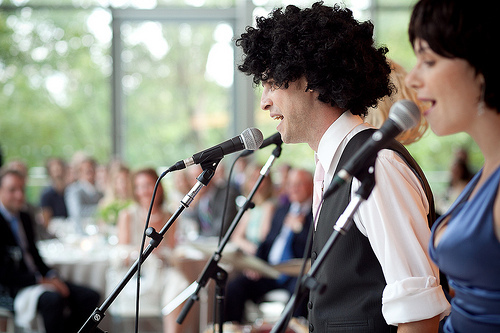 There is every bit of point in making your big day green–let’s face it, weddings are (typically) hugely wasteful. I was really excited to see that you had a green wedding, actually! And if no one else noticed, then it might just be because they don’t have the same awareness. At the end of the day, it’s all about you guys, and if you were the only two who noticed, that’s all that matters. Bless your Green little heart! You know why it may seem like no one notices? Probably because it has become such a part of your every day life that it is comfortable and fitting. People tend to notice discomfort and misery (just have a look at the news!). 🙂 So, what you have done is show how beautifully your life is going, and how comfortable you are with yourself and your life – it just seems like a natural thing. Truly, you were a gorgeous bride, and your journey is an inspiring one indeed! Many many years of love and happiness to you both! Congratulations to you both! The venue looks amazing and you were a stunning bride! I totally understand why you would wonder about this… although for the most part I agree with many of the responses here; it doesn’t matter if people noticed. For one, for those who think that being “green” means wearing billowy hemp clothing and banging on a tamborine, they WOULD be enlightened to know that this is just not the case. Secondly, I’m pretty sure that most people at your wedding know you well enough to know that all those special touches WERE done with thought and consideration for the things you are passionate about… which is perhaps why no one felt the need to mention it –> they assumed it to be so. With that said, I believe that part of living a life that is lighter on the planet is providing (gentle) education to those around you –> we do this primarily through living by example. Sure, we live the life we need to by being “greener” ourselves, but part of that is also hoping that others around you will begin to see the light and also make some changes in their own lives. So I understand feeling like you wanted some positive feedback about the choices you made for your special day. I bet people did actually notice and discuss it around their tables. And as so many others pointed out, most importantly, YOU know that you didn’t compromise your beliefs or passions. Congratulations again, on your gorgeous *AND* earth friendly wedding day! maybe you should have announced the green-ness at the end! people who didn’t notice may have been pleasantly surprised and you may have inspired others. When something is really good/appropriate (think writing, manners), people tend to NOT notice: it recedes into the background. I actually think that’s a good thing, since it means it succeeded so seemlessly, the act or whatever virtually disappears; it becomes an argument for its feasibility, so not only was your wedding beautiful, it was a success from a green standpoint, too. Belated congratulations on your wedding and its green-ness! Congratulations! I just finished reading your book and am estatic to learn that it all worked out for you and your BFF! I’m passing your book on to a green friend of mine and I’m sure she will pass it on as well (secretly, I eventually want it back though). I’m also pleased to find out your blog is still up and running. Oh and I really believe in the trickle effect too so your wedding and all your other green ventures will inspire people as long as you continue to communicate them. Hi! Just started reading your book and it’s absolutely fantastic. I so appreciate your honesty and really the amount of thought you put into the choices you made and why 🙂 I also like that there are starting to be more and more voices from our generation actually coming up with concrete solutions! you made a gorgeous bride! and what a lovely, elegant-yet-green wedding. Even if your guests didn’t notice, WE (people from around the world) did. Thanks for continuing to be an inspiration. 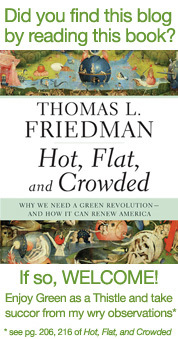 Just discovered your book and love, love, love that it continues to challenge me to greater green-ness. MANY thanks! <– New visitor arriving by way of the book. Having it not stand out as green is a good thing, if that means that you didn't have to make such extensive adaptations and sacrifices that things seemed weird to the non-environmentally concerned in attendance. Isn't the original point of the challenge that started this blog that you can be green without it becoming a sort of martyrdom? You've told those that read the blog, and you've likely told friends and family, so those that care to listen do know. Share the plans and resources you pulled together to make this happen with wedding planners and anyone else that may wish to plan something similar. Ultimately it comes to this: are you happy with the effort you put in and the results that came out? Do you feel that your special day was made even the slightest bit more special because you minimalised the impact it might have on the environment, and thus, the special days of those in generations to come? The authors of this study call this behaviour “competitive altruism”. By “activating status motives” in consumers, businesses can push people into choosing environmentally friendly products. (Frank points to the Toyota Prius as the preeminent example of this). However, as previously stated, these status motives only really function if the buyer has an audience. I think that whether they notice or not shouldn’t be of any concern. Others here have said that it proves green weddings don’t have to be sparse affairs with an ugly hemp dress or unattractive decorations, but I think there is more to it than that. I mean you’re doing something green because it makes YOU happy and feel good about your decisions. If everyone KNEW than maybe it would only increase your own vanity over being able to pull off a green wedding in the first place, and at the same time, you can talk about it on the blog and still spread the word about green weddings. Love the idea of having a “recycled” wedding ring btw. No one needs to support the blood diamond industry in this day and age when there are so many other options. I think that when couples decide to do a green wedding, there’s an opportunity for education for their guests. Not an in-your-face, “look how great we are” kind of gesture, but more of an explanation – by way of a website or a program (on recycled paper), or in a speech… of why you’re doing what you’re doing, and perhaps giving people ideas of how they can green their own lives. Especially if you’re young and getting married in your 20s and 30s, and have lots of friends also getting married around the same time… it can be a great source of information for them when it comes time to plan their own festivities. I think it’s wonderful, all the steps you took. How much or how little you want to toot your own horn is up to you, but at the end of the day, your guests probably knew, because they knew you, and they knew your dedication to the green movement. It definitely doesn’t matter if no one notice. You get to feel good about your choices and you’re doing right by the environment. That’s all that matters. What a beautiful wedding you had! Congratulations! I am actually having a eco friendly wedding myself this april and a reception in June. We are planning on having all vegan food and an all vegan wedding cake as well – with sustainably grown flowers and recycled invitations. Our wedding will just be the two of us on top of a rock outcrop at our favorite state park. My diamond is reused as well and no new clothes will be purchased for the wedding. Jetsonjoe, please read my original post: “the engagement ring was Jacob’s great-grandmother’s ring, so no need for a flashy new diamond”. Well…since you asked…absolutely a green wedding is important, even if no one notices. You’re doing an amazing thing for the earth by supporting her rather than robbing her. And you’re also doing an amazing thing to establish your new lives together. As the saying goes: Start as you Mean to Go On. I’m sorry that our studio wasn’t fully set up when you were planning your wedding (we’d newly just arrived from our UK location). 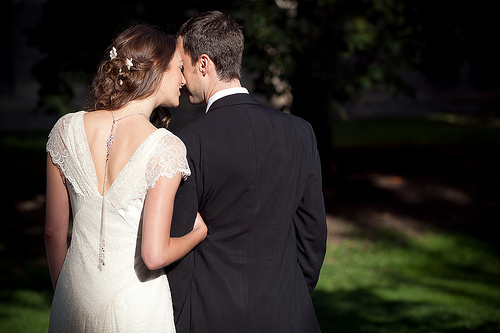 I would have loved to design an eco-wedding dress for you! You’re exactly the sort of bride we want to work with most. To be honest: I can understand that you might be a bit disappointed that nobody seems to have noticed it was a green wedding. I think everyone loves to be admired for something they have done, it’s human. And all the people who say that it is better if nobody noticed since then sceptics realize that eco-friendliness musn’t be old fashioned, boring or what else – how shall they reach this insight if no one tells them about the wedding being green? And in the end I think it doesn’t matter WHY people do somehting for the environment (be it they love to show off and be admired or be it they are really convinced of what they do) – as long as they do it and the environment profits from that (that doesn’t mean that I think you only do it for the admiration). Finally I have another small idea I believe I didn’t read in your book. I read about it somewhere and liked the idea since it is not as radical as turning of your fridge but still might help a little bit. If you put a lot of things in your fridge, for example bottlles of water, this will help to decrease your consumption of electricity since the bottles get cold and help keeping their environment cold. That saves the fridge a lot of efforts since there are cooling elements in the fridge that do part of his job. I hope this is understandable. For me it sounds reasonable and I hope that in fact it really is. Great book, well done, thanks a lot!! I’m late to the wedding! I actually just saw your book recently and am amazed at how far you were able to take “going green.” Of course I wanted to see your green wedding, and am SO GLAD you let us see photos of your big day. Now that you have your 1st anniversary coming up, maybe you can give us an update here! Green 1st anniversary ideas anyone? We wish you many beautiful years together! What a wonderful conclusion to your book to find your green wedding! Congratulations from upstate South Carolina (USA)! I loved your book. I found it in our local library. I hope all is well and hope you will post just a little bit more frequently on your blog… another type of challenge maybe. Hello Vanessa ! This is an italian reader of yours: I read you book (I also suggested it was a good book on my blog) but I noticed since the first pages that you are too involved in what “normal” – not interested on enviromental protection – people think. Try this in front of your mirror: say WHO CARES? and insist untill you believe that, really, you shouldn’t do anything in your life caring about what everymen would think about it. Do it for yourself, do it for us or do it for the entire world. I truly do consider all the tips you’ve supplied inside your post. They’re genuine and may absolutely function. Even so, a threads are extremely small education. May just you want extend these individuals a little bit out of the next occasion? Just post. It can be appropriate time to develop programs with the end and it’s time for it to smile. I’ve check out this distribute and when I can I need to would suggest an individual many interesting items or perhaps recommendations. Perhaps you may write upcoming articles in regards to this document. I have to understand much more reasons for having that!